What happens when Hip Hop meets Politics? Dupre Kelly from the legendary Hip Hop group Lords of the Underground is pounding the pavements and communities in Newark, NJ to answer that question! 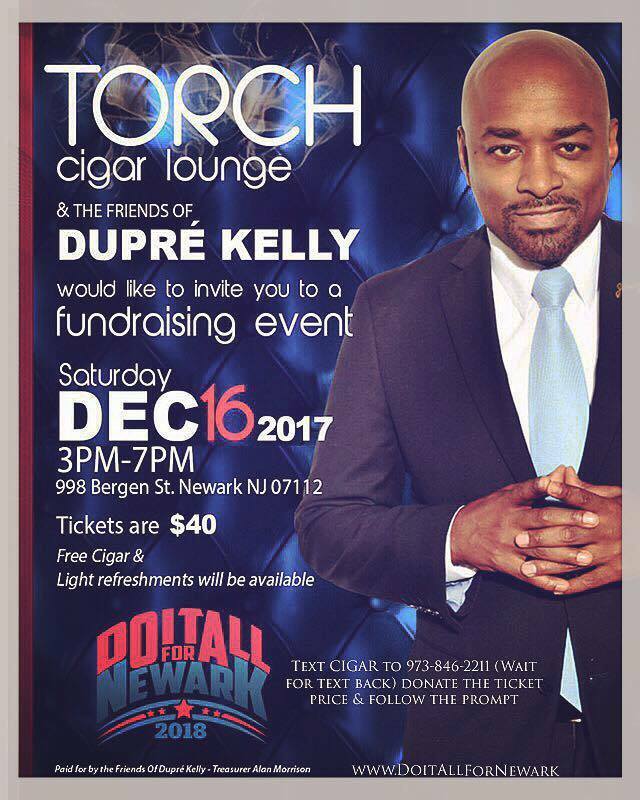 On December 16th, Torch Cigar Lounge in Newark and The Friends of Dupre Kelly are hosting a fundraising event from 3-7pm. Tickets are $40 and there will be free cigars and light refreshments. Click on the the link for more ticket information. Come on out, show support, and get to know Dupre Kelly and his plans of action for Newark come 2018!